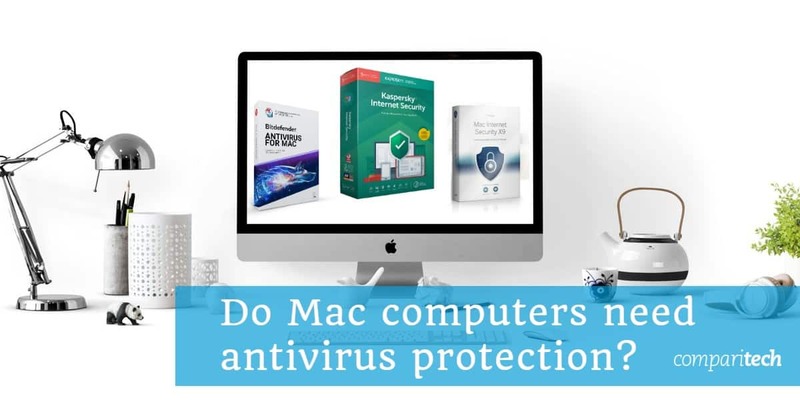 It’s a common myth that owners of Mac computers don’t have to worry about protecting their devices from viruses, but how true is this today? If you are one of the many people running MacOS and you’re not sure whether or not you need security software, read on. If you’ve got an iMac, MacBook, Mac Pro, or Mac Mini, you may be wondering if you need to install an antivirus program to remain safe and secure and protect against the range of threats you keep hearing about in the media. But then again, you may have heard that malware only affects Windows systems. So what’s the truth? As with most questions relating to security, the answer is not crystal clear, but this article will help you gain a better understanding of the topic. Mac computers have long enjoyed a reputation for being essentially immune to viruses and other types of malware. However, while they are still much more secure than Windows systems, Macs are still vulnerable to some malware, and it’s a growing problem. Apple’s built-in security system does a reasonable job at keeping malware at bay, but you should still consider beefing up protection by installing antivirus software. In this post, we discuss why you need to consider using antivirus with a Mac computer and reveal some of the best antivirus software to help. Do you really need an antivirus to protect a Mac? In short, yes you do. Mac’s are not immune to malware and Mac-targeted attacks are increasingly prevalent. Following best practices for securing your device and using built-in security features can help, but an antivirus software can serve to protect your device even further. The first question to ask is, “Does malware exist on the MacOS platform?” The answer to that is yes, it does. Although Macs appear to be secure, there’s nothing to stop criminals targeting the software. That being said, figures do suggest that Mac computers are less likely to come under threat from malware. But just because the risk is lower than with a Windows PC doesn’t mean there’s no risk at all. Plus, the risk is amplified if you’re a business that runs multiple Mac computers. Macs are becoming more popular. Part of the allure of attacking Windows PCs is that the impact is so huge, with Windows having 80 percent of the market share. But Mac’s rise in popularity certainly makes it a juicier target for attackers than in years gone by. Mac users are attractive targets. With Macs being a lot more expensive to purchase than Windows PCs, it follows that Mac users will typically be wealthier. As such, they are attractive targets for criminals, especially those looking to steal personal data, including financial information. Windows is becoming more secure. Macs used to have a big lead over Windows PCs in terms of security, making the latter easier to attack. The latest versions of the Windows operating system are more secure than ever before, closing the gap, and making them more difficult targets. It would be less surprising to see malicious hackers turn their efforts towards Macs. Mac’s operating system does come with built-in malware detection, which we’ll discuss in more detail below. 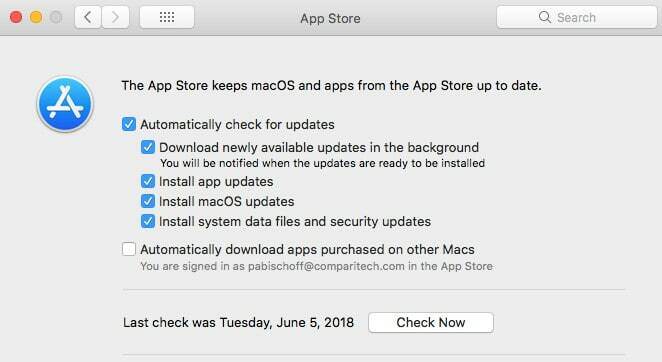 This built-in detection feature is a nice-to-have, but with more threats, there’s an increased likelihood that new malware could find its way onto your system before Apple updates its databases. These are referred to as zero-day threats, and are reason enough to consider installing some security software. Note that even an antivirus can’t protect you against all types of attacks. For example, if someone tricks you into escalating admin privileges to install malware, it’s already too late for an antivirus to save you. Human error doesn’t distinguish between operating systems and Mac users can fall prey to scams just as easily as PC users can. Gatekeeper: If software that hasn’t been digitally approved by Mac attempts to run on your computer, GateKeeper will block it until you provide authorization for it to continue. XProtect: The XProtect feature detects known malware and automatically blocks its installation. The feature is constantly updated with the latest malware signatures. It monitors for new malware infections (and strains) and, if any are found, then XProtect is updated. These updates occur separately from system updates so you don’t have to wait to be protected from new malware. Malware removal tool: In case malware does find its way into a system, MacOS technology can remediate infections. Removal of known malware will occur with each system update. Click on the Apple icon found in the top left corner of your screen and then on System Preferences. Lastly, ensure that the tick boxes next to ALL the update options are checked, as seen in the image below. If you do decide you’d like to install antivirus software, there are plenty of options out there, both free and paid. We’ve rounded up some of the best in separate posts, but here are our top three free and paid options. We recommend opting got a paid option if you can, they are relatively inexpensive, faster and offer significantly better protection. 1. Intego Mac Internet Security X9: Currently reduced from $84.99 to $59.99 for a year, this is a wallet-friendly solution. The software was built specifically for Macs. It’s not based on a Windows model, as is the case for many alternatives. It offers a location-based firewall and protection against phishing scams, among other features. 2. Kaspersky Internet Security for Mac: Kaspersky consistently scores well in independent tests and has an accessible price point at $23.99 for a year of protection. Highlights include a content filter for parental control and webcam spying protection. 3. Bitdefender Antivirus for Mac: This is another inexpensive option (the price has recently been slashed to $58.49 for one year) with a range of features. Some that stand out are a built-in Virtual Private Network (VPN) and an autopilot feature for a set-it-and-forget-it approach. For more options, see Best Mac antivirus programs: Top rated Mac antivirus programs for 2019. As with most things in life there’s usually a catch when a product is free. Security is not an area we recommend you cut corners on but if you really don’t want a paid solution here are three free options. 1. AVG Antivirus for Mac: In the past, AVG only provided antivirus solutions for Windows users, but now Mac users can enjoy protection, too. Free features include protection against downloaded and online threats, real-time monitoring, drag-and-drop file scanning, and free malware removal. 2. Avast Free Antivirus for Mac: Mac users won’t get the same range of features from Avast as Windows users do, but they can enjoy the basics, including real-time monitoring and blocking of viruses, wifi network scanning, and blocking of unsafe websites and intrusive web trackers. 3. Comodo Free Antivirus for Mac: Although the brand doesn’t have the same punch as the others on the list, Comodo offers a fairly broad range of features for customers of its free service. These include real-time malware protection, scheduled virus scanning, quarantines and suspicious file removal, drag-and-drop and one-click scanning, and more. For more options, see Best free antivirus programs for Windows and Mac. Enable your firewall: Your firewall is your first line of defense against potential security threats. To enable your firewall, go to System Preferences > Security > Firewall. Keep your computer close: This may sound obvious, but never let anyone else have access to your Mac or install files on it on your behalf unless you know you can trust them. Avoid opening unknown files: Never open email attachments or other files that you have received from unknown or dubious sources. Be skeptical of software providers: Only install software from reputable sites you know you can trust, and avoid pirated software. Use strong passwords: Ensure your Mac, as well as all your local and online accounts, are protected with strong passwords made up of at least eight characters. Passwords should include numbers, letters (both upper and lower case), and special characters. Keep your software up-to-date: Keep your Mac and applications up to date at all times. Get those updates through the developers’ sites or the App Store, not from popups. If you practice all of the above, you shouldn’t have to worry about threats disrupting your enjoyment of your Mac. Of course, things do change, so keep abreast of the latest security news just in case. Related: Want to do even more to improve your security and privacy? Check out our roundup of the Best VPNs for Mac. 1 Do you really need an antivirus to protect a Mac? Hi Becky, we’re continuously working to keep your account secure. We’ve noticed that this device may be infected with malicious software. If you’re using a Mac, we suggest that you run an anti-virus software for Mac. You can learn more about ways to protect your Mac from malicious software. I’ve run an anti-virus software for Mac and my computer no longer has any malware. Should I get an antivirus? My grand daughter who has always used a Mac says I shouldn’t need one. I’ve had my MAC for a number of years the other day my home page on safari was no longer apple. I did some research and found out I had some malware called ‘shroom. I found out how to delete it completely but now I’m nervous about not having AV software. Not sure what to do. I the only user of my PC. I think I know where it came from and it wasn’t on for long but I’m still nervous. Very helpful. I’m also relatively new to Mac, and was having multiple certification errors while visiting Google, Yahoo, etc. Apple technician told me to remove Kaspersky and immediately my issues disappeared. Thank you for the quick 101 on PC vs Mac. From everything I’ve read (quite a bit) my iMAC does not need anti virus protection. If you do everything correctly then Malware is also solved. I’m going from a Dell PC to an iMac and doing away with Norton. Am I correct in doing this? Java on the other hand is rarely used on any websites anymore and is well known for being a massive security hole. Great info as I am a first time Mac buyer. Sounds like we made a good decision getting a Mac. The choice is subjective of course but I use many Windows and OS X machines and I know which I prefer! This was very useful as I am new Mac user. Just been sold malware protection by PC World for my new mac. Obviously been given bad information. Thought I did not need it but he sales person was so insistant.